The Public Defender Service for the District of Columbia hosts conference to expose law students to life as a public defender. On Saturday The Public Defender Service for the District of Columbia (PDS) hosted it’s annual PATH Conference a program geared towards exposing law students to service as a public defender as a viable career option. We’re fortunate to have a guest blog from Brittni Downs a law student who attended the conference. For a complete list of conference sessions click on the link for a PDF. This past weekend I attended the PATH (Public Defender Advocacy, Training & Hiring) Conference at the Georgetown University Law Center.The conference consisted of four different sessions (two morning sessions & two afternoon sessions), and the day was broken up by a networking lunch. During the lunch students had the opportunity to talk to other students, and attorneys who served on panels. Attending this conference was truly an enlightening experience and I would recommend that anyone who is even remotely interested in a career as a public defender attend the conference in the future. 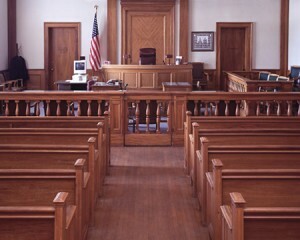 As someone who is confident in my choice of public defense as a career path, I found it helpful to attend panels, which provided more insight into the criminal justice system and helped me understand the steps I should take in order to accomplish my goal of becoming a successful criminal defense attorney. The first panel I attended was “Get Over Yourself: Client-Centered Representation & Indigent Criminal Defense.” On this panel, public defenders from The New Hampshire Public Defender, The Bronx Defenders, and The Public Defender Service for the District of Columbia discussed client-centered representation. As the attorneys explained “client-centeredness” and how it manifests itself in day to day practice, it became clear why “client-centered representation” vs. “lawyer-centered representation” is becoming the preferred practice in public defender offices across the United States. The next panel I attended was, “We Put the ‘D’ in PD: Defense Theory & Crafting a Cohesive Trial Narrative.” This panel was devoted to illustrating how developing a defense theory often requires lawyers to think “outside the box.” The panelists discussed cases they’ve tried to illustrate defense theories which worked, and those which weren’t successful. Students also had the opportunity to come up with their own theories and received feedback from the panelists as to whether or not those theories were likely to work at trial. Later in the day, I attended the session, “Fit Matters: Identifying YOUR Best PD Office.” As someone who would like to work in a public defender’s office one day this panel was extremely helpful to me because it outlined factors to consider when searching for a job. Those factors include the size of the office, the office culture, and the typical caseload of a public defender inside an office. The attorneys from The Miami Public Defender, The Public Defender Service for the District of Columbia, The Colorado Public Defender, and the Alexandria Public Defender, were also able to discuss their knowledge of other offices throughout the country given the trajectories of their own careers. The final panel and the one which I was most excited about was “Like I Wasn’t Stressed Enough: Role Playing, Hypotheticals & the Public Defender Interview.” This panel was all about what everybody in my position wants to know: how to get hired! During this session, panelists who are or have been part of the hiring process at various offices gave students tips, do’s and don’ts, examples of questions that may be asked, and what to expect from hypothetical scenarios you would be asked to address. This was by far the most popular session of the entire conference, and for good reason! Students who are unfamiliar with the interview process are at an extreme disadvantage and this panel gave great insight into the unique nature of the public defender interview. This conference made me more excited than ever to become a public defender! Not only were the panelists knowledgeable, but they were passionate! It was clear that all of them loved what they do for a living. Having heard all their words of advice and wisdom, I felt inspired and eager to follow in their footsteps. Compliments to the Public Defender Service for the District of Columbia for organizing an amazing event! Brittni Downs is a 2L at Catholic University’s Columbus School of Law. This summer she was a diversity fellow at The National Association of Criminal Defense Lawyers (NACDL) and interned at a boutique law firm in Washington, D.C. Following law school Brittni hopes to begin her legal career as a public defender.